Are you looking for a new way to renew your worship, respond to the needs of the church and community, and connect with people in their passage of life--both chronological and crisis? This book offers a rich resource to you, both as a tool for worship and also devotionally as you face the deepest questions of life. Here you will find one way that the church can renew and rediscover its healing ministry. 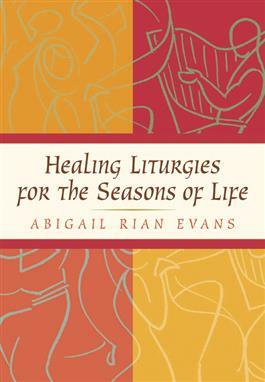 Abigail Evans, a leading specialist in bioethics and health ministries, explores how God's gift of healing is available during all seasons of a person's life and how the power of hope and healing are affirmed and redirected through liturgical services, sacraments, and rites. This distinctive resource features specific healing liturgies for injury, illness, death, separation, retirement, and a host of other major life events, from a wide variety of religious traditions.